Comfort - Who wouldn't want the hardest stone on Earth cut into angular shapes and embedded on a device that rests just beneath the squishy, supple, vulnerable part of their palm? Functionality - Because you could never possibly need more than three buttons on a mouse, right? ..... Right? Design - Ergonomics are for the poor. 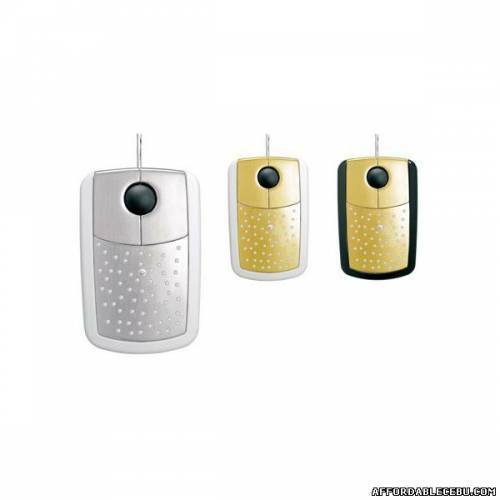 We want a mouse shaped like a cardboard box, with the edgy comfort and sharp corners that come along with it. 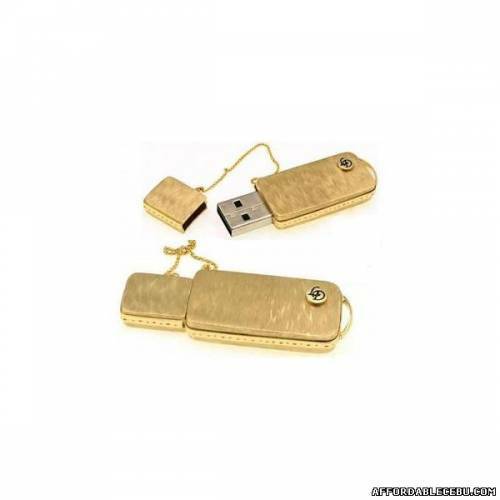 Solid Gold USB Flash DriveComing in around the same "usefulness" rating as the aforementioned elite pointing device, the 14k gold USB Flash Drive is another must-have. With a casing of solid gold, this $2000 (US) flash drive is guaranteed to store more data and transfer it faster than any other out there, accept all of the $10 ones I found on Newegg. At least it will look good sticking out of the back of your computer, under your desk, inundated with dust. What's a $24,000 Mouse Without an Equally Ridiculous Mouspad? A traditional mousepad is simply too pedestrian to grace the underside of your new gold and diamond encrusted mouse, but what could possibly be worthy to earn that subserviant position? I suppose you could have Prada weave a mouse pad from the hair of a thousand virgin mermaids, but that is so 'last season'. 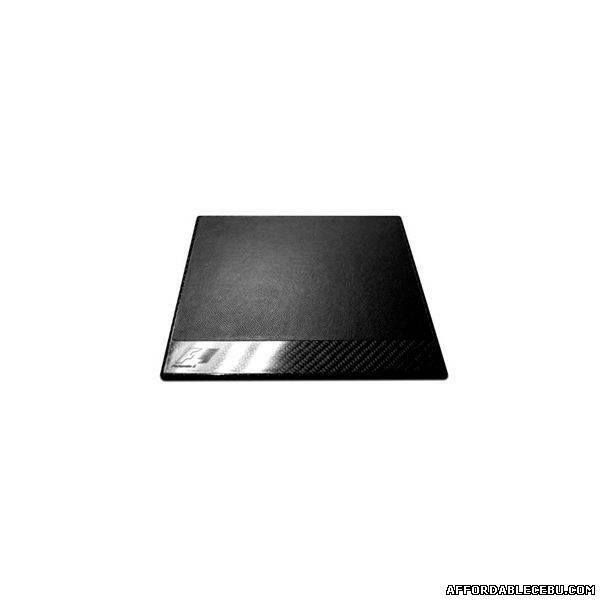 It's a troubling question, I know, but may I suggest the $500 (US) carbon fiber Formula 1 mouse mat? I know it's so very inexpensive, but take comfort in the fact that it is virtually inbreakable, even under the weight of a solid gold mouse, and has a lovely leather finish that will match the new Couture floor mat perfectly. Optimus Maximus LCD KeyboardAll sarcasm aside, if I was even slightly wealthy I would buy this Optimus Maximus $1700 (US) LCD keyboard. 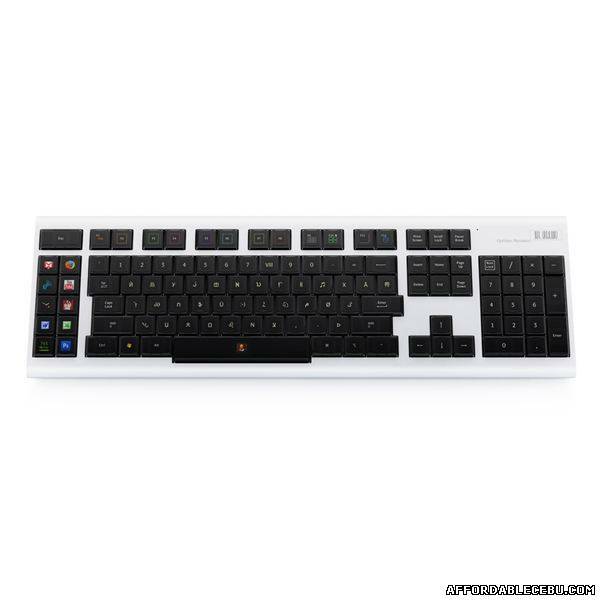 Even though I never, ever, look at my keyboard when I'm using it for any purpose, it would be truly mindblowing to have a little LCD screen telling me what every single key on that board was purposed for. Better yet, though, it can be totally customized and configured to do whatever you want it to do. Mainly, I just think it would be cool to have all the World of Warcraft ability icons displayed on their corresponding hotkey, but hey, that's just me.